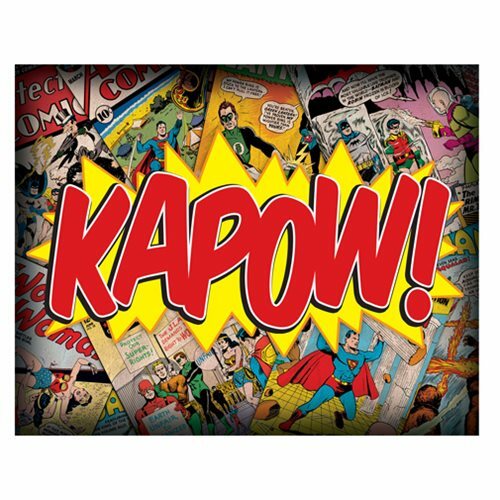 If you're looking to add some pop to your walls, pack a punch with this awesome Kapow Comic Collage Canvas Print, which features a pop-styled "Kapow!" over a background of various DC Comic book covers. Made by Artissimo Design, this canvas print is perfect for decorating themed rooms as well as filling out dull living spaces. This striking art piece measures 14-inches wide x 11-inches tall x 1 1/4-inches deep.